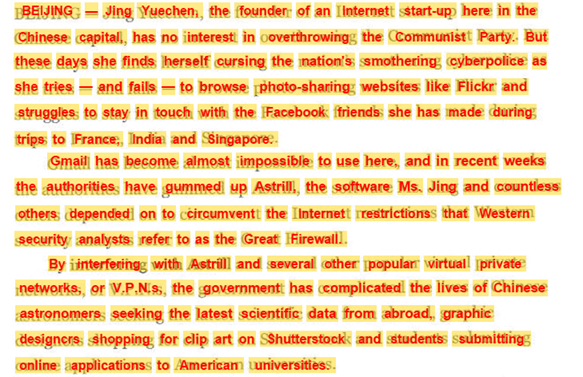 The image below shows the OCR result of an English text, in this case a screenshot from a New York Times article. The image was created via the overlay function. 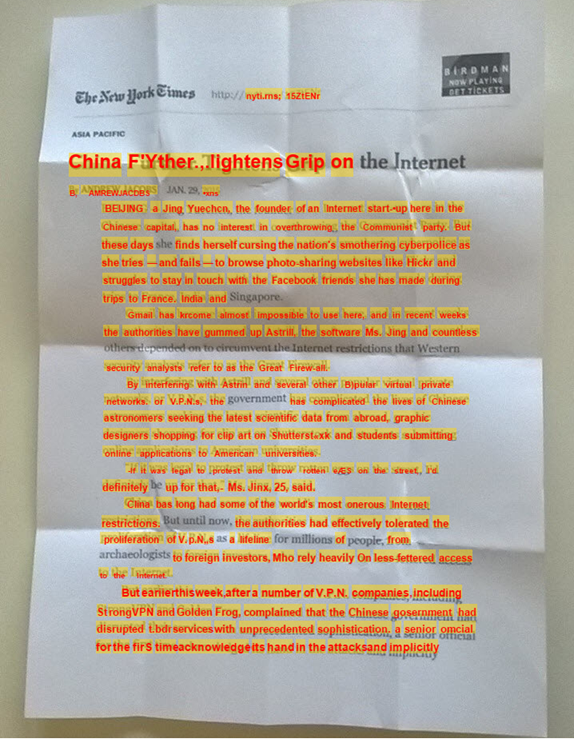 Below the same text, but this time as an image of a crumpled printout, photographed by a low-cost $99 smartphone.